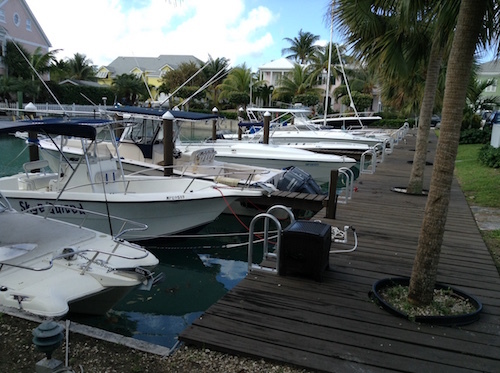 The Port Department yesterday confirmed it is cracking down on fees owed by private/residential dock owners in New Providence’s gated communities, and issuing warnings of site visits to inspect “unregistered” facilities. Captain Cyril Roker, the Department’s controller, told Tribune Business that it had been given the go-ahead from the Attorney General’s Office to initiate the tax crackdown. The move has prompted residents of Sandyport, the private residential community at Cable Beach, to seek their own legal advice over the Port Department’s decision to enforce the fee/taxarion measures in its own Act. A signed letter from Captain Roker, which has been issued to dock owners, states: “Please be advised that in accordance with the Port Authority Act, Chapter 259 section 40A, the Port Controller is sanctioned and obligated to collect an annual tax from any/all owners of private piers, wharfs or abutments on the island of New Providence. Speaking with Tribune Business on condition of anonymity, one Sandyport resident said: “Everyone in Sandyport received a letter from the Port Department about a site visit and registration of private docks. Captain Roker yesterday confirmed that the Port Department has been issuing letters to private dock owners across New Providence, and not just at Sandyport. He told this newspaper that while there had initially been a legal “back and forth” over the issue, it had been ‘ironed out’ with the Attorney General’s Office, effectively giving the Department the go-ahead to enforce the fees. “One of the things we had lacked initially was enforcement,” Captain Roker said. “We’re going in every nook and cranny. We’re putting port officers on every major island; not just a port officer, two port officers and a clerk. “Their job is to enforce the regulations and collect the revenue. Sandyport was one of the classical examples that we had to iron out with the Attorney General’s Office. It is a development that is private land, and they were under the belief that they didn’t have to pay the Government. “Once the salt water hits your dock, if you have lake or whatever, that is Crown Land,” he continued. “The Government has a right to tax you on that. All those docks on Lake Cunningham and those gated communities, we are writing them and letting them know our intentions. “Once we identified the owners we send them a bill. There’s no discrimination. Everyone has to pay. We want to make everyone current. We try to do that at least a month or two months in advance to give everyone a heads up. “We’re not just here to collect money but we want to see what we could do to better the industry. The Port Department’s crackdown could impact owners in some of New Providence’s most prestigous communities, such as the likes of Old Fort Bay and Lyford Cay. The move is again likely to raise questions as to why another government agency has seemingly waited for some time to enforce the revenue laws, and be interpreted as another sign of the Government’s determination to collect every cent of revenue due to it amid the ongoing fiscal crisis. Captain Roker said the issue of fee collection was under control, adding: “There were some who felt as though their development was outside the Government’s scope, even though they were paying their sea bed leases. 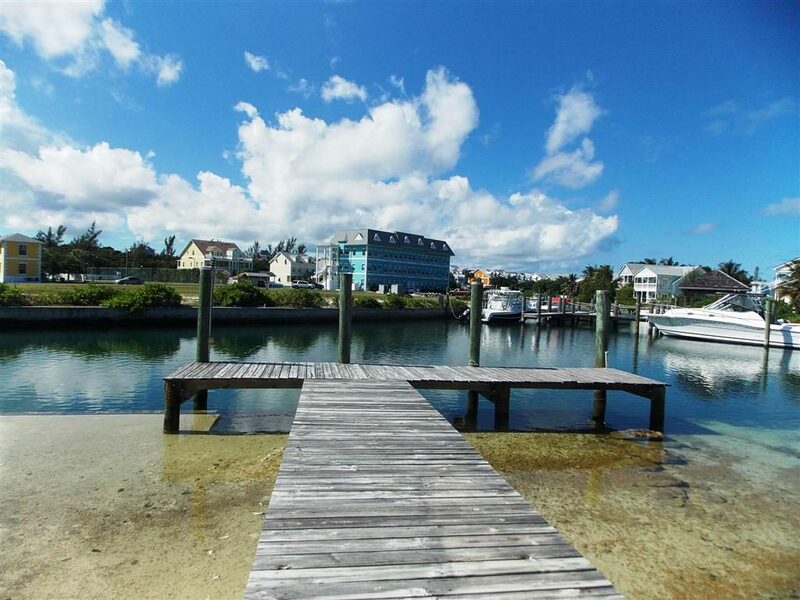 For private jetties on New Providence, the fee is listed as $2 per linear foot. For commercial jetties it is $6.32 per linear foot, and for industrial jetties it is set at $4 per linear foot. Private jetties situated on a Family Island are assessed a fee of $1.94 per linear foot; commercial jetties at $6.13 per linear foot; and industrial jetties at $3.88 per linear foot. 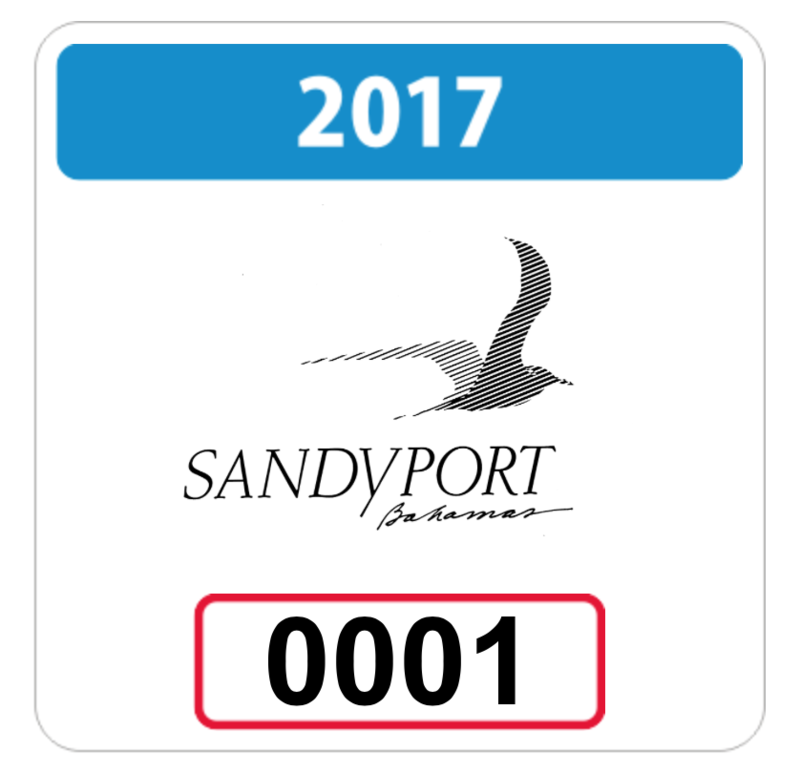 2017 auto identification decals are now available for collection from Security Services located at the Sandyport main entrance. Under the policy for watercraft moored in Sandyport, all existing permits will expire at midnight on December 31, 2016. Please complete the application form and submit to Security Services together with current documentation. Vessels without or within invalid permits will be denied access to the waterways. Full details and the application form are available here. 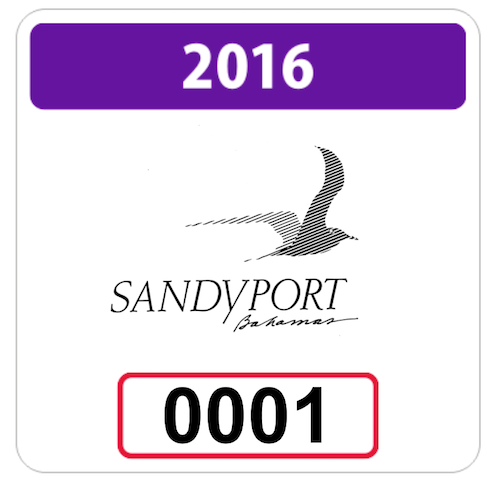 2016 auto identification decals are now available for collection from Security Services located at the Sandyport main entrance. Under the policy for watercraft moored in Sandyport, all existing permits will expire at midnight on December 31, 2015. Please complete the application form and submit to Security Services together with current documentation. Vessels without or within invalid permits will be denied access to the waterways. Full details and the application form are available here. 2015 car decals will be available for collection after December 15, 2014 from Security Services. 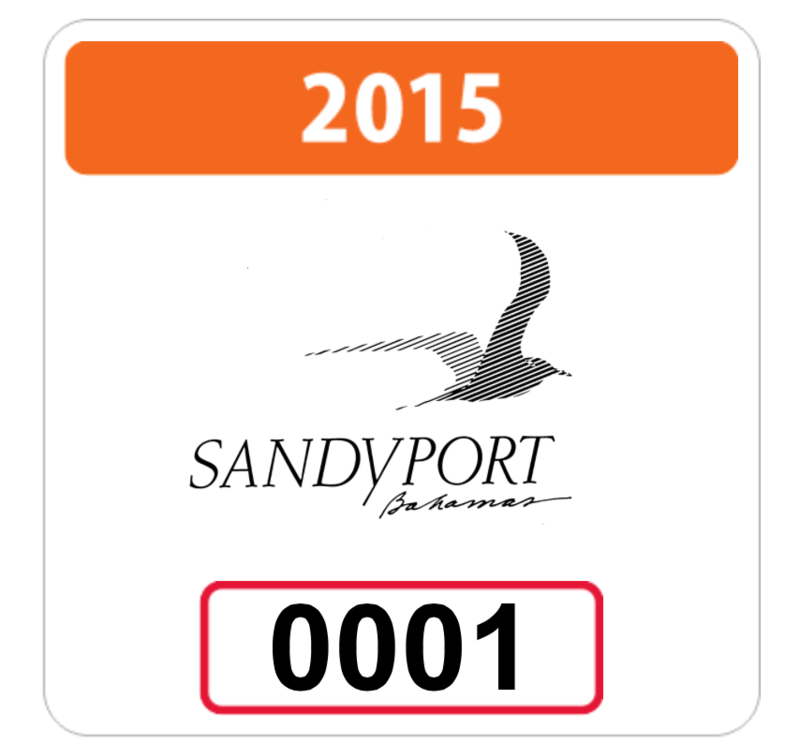 Under the policy for watercraft moored in Sandyport, all existing permits will expire at midnight on December 31, 2014. Please complete the application form and submit to Security Services together with current documentation. Security Services are at the main entrance. Full details and the application form are available here.